Valentino Rossi is considering not going back to practice motocross or endurance while the season is underway. Miller's is the latest case of an injured offroad driver. The Italian is still recovering from the fractured right leg he suffered last August 31 while completing an excursion with friends, around the hills around his house. 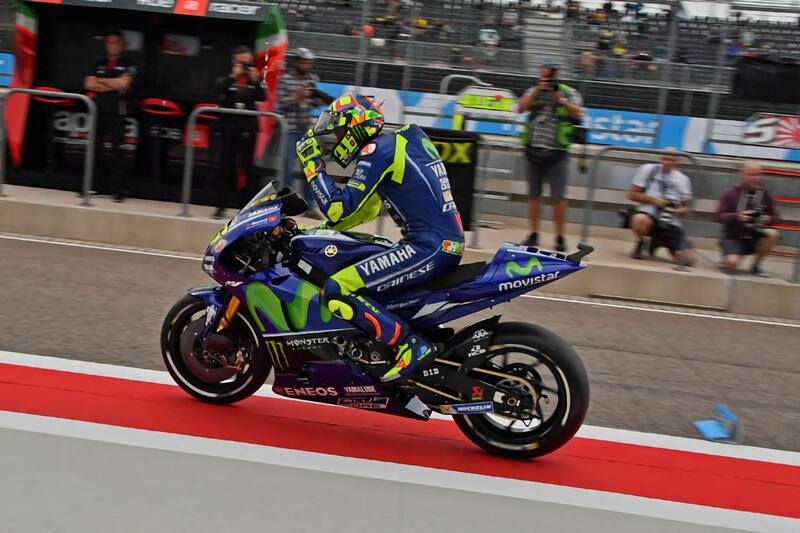 A fall at the end of the day forced him to go through the operating room and miss the Grand Prix of San Marino, and were it not for Rossi who forced his recovery and took risks, he would also have missed the meeting last week, in Aragon, that finally could dispute although always leaving a margin of safety, finished the fifth. The fact that Il Dottore already was about to not run in Mugello due to another accident, in this case, while training motocross in the circuit of Cavallara, also very close to Tavullia, at the end of last May. On that occasion, Rossi suffered a severe thoracic and abdominal trauma that kept suspicion of his participation in the Italian test, which he was finally able to attend although with pain, "the fourth finished. This accumulation of misfortunes have led to # 46 to seriously consider limiting the risks of injury to the maximum, and that is to avoid getting the motocross bike and after the latest events, also enduro. "The problem that we find is the same as always. We can not train with MotoGP bikes, so we have to do it with others, from different disciplines. Motocross was already on my blacklist because we've all been hurt: I, Morbidelli and others, "says Rossi, who until now combined the flat track series in the Ranch that owns at home, with motocross days and also enduro. "This trip with my friends I do four or five times a year since I'm 18 years old. But surely do not do more during the season. You have to find the commitment because you have to train and on a motorcycle, it is always dangerous ", adds the multi-champion. Most MotoGP teams contract by contract what activities prohibit their riders, especially during the season. Maverick Viñales, for example, is a bicycle lover and a few months ago asked Yamaha to let him run the Bearded Vulture, but the Japanese brand chose not to do so. "Our contracts say that runners have to ask us for permission if they are going to do any activity that has not been previously predefined. Have we forbidden any pilot to do things? Yes. For example, bike races, which for me are more dangerous than MotoGP races, " explains Lin Jarvis, director of Yamaha. There are many drivers renting circuits to train with speed bikes or supermotard, Rossi himself does so many Thursdays in Misano (with an R1), until recently Tito Rabat regularly trained in the route of Almeria, or Jorge Lorenzo, a fixed customer of the track of Alcarrás, where the Marquez also practice. But logistics is not always easy to take a bike to a permanent circuit, so the most common alternative is to do off-road, mostly motocross or enduro. Others are even encouraged by the trial. This is the case of Jack Miller who last Friday was training in the mountains of Andorra with Maverick Vinales, Alex Rins and Fabio Quartararo, when he suffered an accident that fractured his right leg, which will miss the Grand Prix of Japan. Before, last March, Alex Rins suffered a fall while practising motocross that jeopardized his participation in Argentina. The list of injuries suffered while training between big prizes with motorbikes is long, so it is not surprising that Rossi does not consider doing it during the course, a decision that Lorenzo already took last year limiting his workouts with offroad bikes to winter. Valentino Rossi is considering not going back to practice motocross or endurance while the season is under way. Miller's is the latest case of an injured offroad driver.